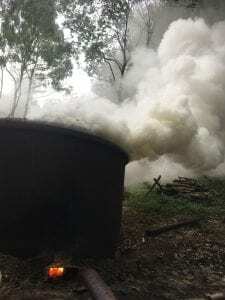 Our rural skills officer, Ed Bonn, has started the annual charcoal burning process for 2018. 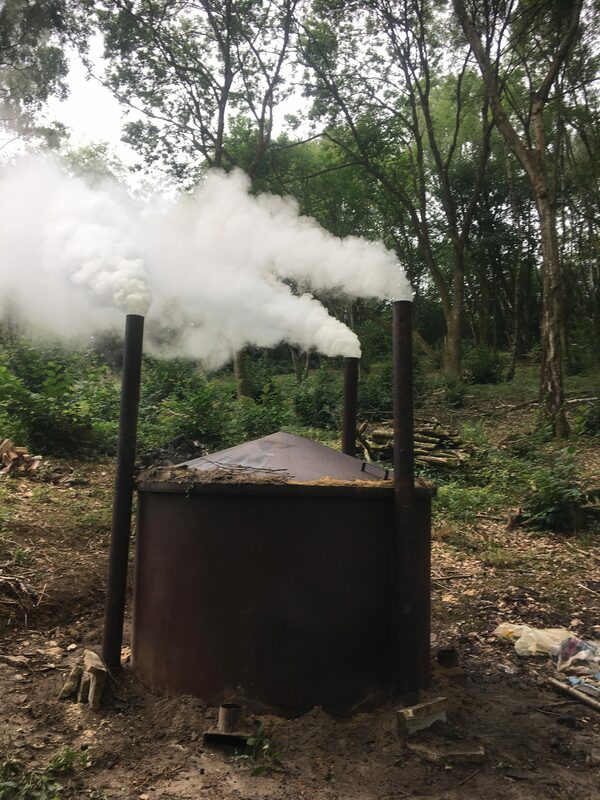 Producing charcoal is part of managing Ullen Wood, in Gloucestershire. We coppice in autumn and winter, which produces wood that seasons for at least one year before being split into logs and loaded into the kiln, to burn over 24 hours. Once the kiln has cooled, the resulting charcoal is unloaded and bagged up. The charcoal will be used in the forge whilst teaching blacksmithing courses, and is also for sale in the Cotswolds Discovery Centre. 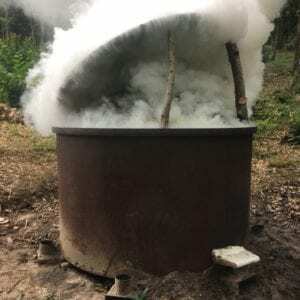 The Voluntary Wardens of the Cotswolds Conservation Board are extremely helpful in the process of producing charcoal, both filling and emptying the kiln. Recently, a group of young people from the Prince’s Trust joined in and helped to fill the kiln as part of a Rural Skills training programme.